We have named our book the Eth Cepher. This word cepher has so many implications; let’s take the time to explore them a bit. The word cepher has as its root the word caphar (’סָפר saw-far). This is the three letter primitive root, and it means to score with a mark as a tally or record; i.e., to inscribe, enumerate, recount, number, and so forth. The word cepher (סֵפֶר say'-fer), on the other hand, means a writing (the art or a document); by implication, a book. That is, a bill, a book, evidence, a learned treatise, a letter, a register, or even a scroll. Bear in mind that in the original, these words were spelled the same. The plural of this masculine term cepher is cepheriym (s’fereem’). Don’t give up yet. The word capher (סָפֵרָ saw-fare') is the Aramaic presentation of the same array of letters, this time meaning a scribe, whether a scribe for things secular or things sacred. There is yet another meaning for this same literation, where the word cepher (סְפָר sef-awr') means to take a census; that is, it means numbering. The feminine derivative is then cephorah (סְפֹרָה sef-o-raw') which means either a numeration, or just plain number. The plural of this feminine derivative is cephor’oth (sef-o-rote’), meaning numbers. Given these words we can begin to understand that a cepher is best understood as the numbered or tallied writing of a scribe. Compare this with the original Bibliothecha, which was in its original form a summary collection of 279 volumes of classic works written by Apollodorus around 180 BC. The Bible was offered as a competing or even a replacement text. 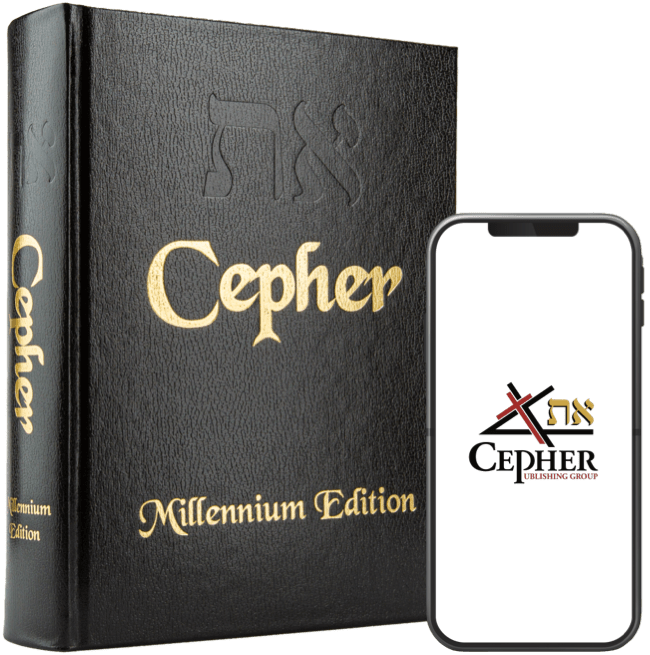 We at the Cepher Publishing Group have not sought to compete with the Bible or to enter into its fray; but rather, we have sought to restore a comprehensive collection of the numbered writings of sacred scripture, passed through the Hebraic tradition, and including the writings which declare the Brit Chadashah.